Following your post, my parents did the Hatfield and McCoy trails last year in WV but didn't hire a guide and didn't like the trails. They were told Kentucky was beautiful but we are struggling to find a place to ride. They have talked about going back to WV but its recommended to hire a guide to ride the outlaw trails. We did a week in Utah last summer, it was our first trip out west with our rig and we really enjoyed it and have plans on going back. We stayed a few days in Blanding and we rode the Mountains and the canyons, it was a very unique area with lots of variety of riding. We then moved to Bryce Canyon and loved that area also, lots of riding there. 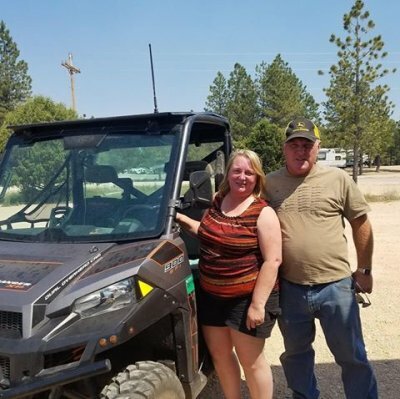 Our last stop was the Paiute Trail system, but we were disappointed in the area we chose to ride and we have Polaris Rangers and a lot of those trails are 50 inch so we were limited. Have fun out there, its beautiful country.